Politicians are fond of saying that a week is a long time in politics, but what do poker players think? For those who started the week off having slapped $25,000 on the cashier's desk at the Bellagio, the answer is probably that "it depends". For players like Barny Boatman, Antonio Esfandiari, Sammy Farha, Gus Hansen, Phil Laak, David Pham, Joe Sebok, David "Devilfish" Ulliott and Brian Wilson, who found their first days ending a little prematurely, a week is irrelevant. Others like Erick Lindgren, Kirill Gerasimov, Jennifer Harman, Juha Helppi, Donnacha O'Dea, Amir Vahedi and David Williams (runner-up in the 2004 WSOP Main Event), their time at the tables probably seemed more like a month after bowing out for the minimum payout after five days of slog, knowing that a day later there would be six finalists progressing onto potential riches. Granted, they cleared a profit which may give them a roll to sit down with at a convenient cash game, but these guys want titles. Never mind, there's sure to be another big tournament on next week somewhere, such is the banqueting feast on the poker table nowadays. For the six finalists who arrived under the WPT TV lights on Day 7 of the Main Event of the Fourth Annual Five Star World Poker Classic, their week has taken on a satisfying aura. It's been long but, as in politics, a lot has changed - or has the potential to. Even for a financially-comfortable poker player, a WPT title and $3,760,000 in the back pocket makes a big, big difference, in finance, status and opportunity. For the likes of Claus Nielsen and David Matthew, both here via satellite qualifiers, the life-changing nature of this event might freeze lesser people in their tracks. The difference between $292,000 for sixth and $3,760,000 for first is stark. Sole UK representative and previous WPT Paris winner, Roland de Wolfe, knew he would have to get busy early on with a stack little more than 15 times the big blind and running antes of 15,000 to boot. The position was even tighter for Men Nguyen. Intriguingly, the pair of them had started off the previous day poles apart with de Wolfe heavily chipped up in second place while The Master was languishing with the nearly-dead men. If nothing else it proves you are never dead until you are "without chip". Soon, "without chip" is how Men Nguyen found himself after an inadequate pocket pair failed in its duties. At that moment, Roland de Wolfe's personal till rang up an additional $147,000. Nice work for sitting back. The next step would be worth an additional $220,000 on top but he now faced a huge chip differential. All four opponents' tower blocks dwarfed his modest pile. But Roland was getting busy and picked up the blinds, antes and bets with an all-in move. Then he severely damaged James Van Alstyne, long time chip leader, with an opportune pair of kings to double up. Bonus upon bonus, de Wolfe once again sat back and was able to watch Van Alstyne crash and burn. This was an amazing turn of events enabling de Wolfe to rack up the additional monies. Unabashed, Roland ploughed on and took a meaty bite out of Claus Nielsen's appetising wall of chips with a superior pocket pair to assume a strong position amongst the remaining four. Nielsen retrieved some chips back from de Wolfe a little later but was now getting low. Soon, he was "flushed" from the tournament by Joe Bartholdi. Once again, Roland de Wolfe was able to observe his payday increase without being involved. Up another handsome $366,000 which meant he would leave here with at least an even $1,000,000 in profit on his buy-in! At this point, second place looked up for grabs as Roland de Wolfe and David Matthew were about even but severely out-chipped by Joe Bartholdi. Would Joe sit back and wait for the other two to get it on? No! Roland was still raising and taking blinds but ran into two defiant ladies courtesy of the chip leader and received his marching orders. A cool million dollars makes this a week for Roland de Wolfe to remember. Congratulations to him from UK Poker News! Heads-up was now between David and Goliath in chip counts; David and Joe in human terms but maybe the story is the same. After all, David Matthew is here on the back of a $25 internet investment! Finally, a close all-in race ended with Joe Bartholdi avoiding the bad cards that Matthew needed and a new WPT champion was born: Joe Bartholdi, who until now had been best paid with a 5th place finish in a WSOP event, earning around $70,000 for that one. 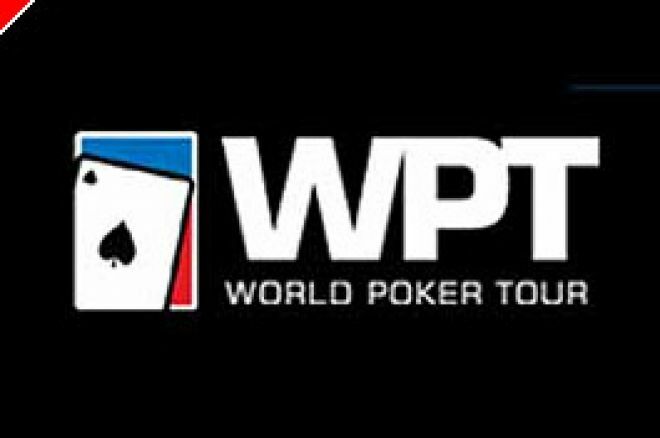 This WPT win is something else indeed! Thanks from UK Poker News to the Gutshot for chip counts and occasional hand details.